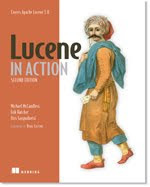 Apache Lucene™ 5.0.0 is coming! At long last, after a strong series of 4.x feature releases, most recently 4.10.2, we are finally working towards another major Apache Lucene release! There are no promises for the exact timing (it's done when it's done! ), but we already have a volunteer release manager (thank you Anshum!). A major release in Lucene means all deprecated APIs (as of 4.10.x) are dropped, support for 3.x indices is removed while the numerous 4.x index formats are still supported for index backwards compatibility, and the 4.10.x branch becomes our bug-fix only release series (no new features, no API changes). 5.0.0 already contains a number of exciting changes, which I describe below, and they are still rolling in with ongoing active development. Many of the 5.0.0 changes are focused on providing stronger protection against index corruption. All file access now uses Java's NIO.2 APIs, giving us better error handling (e.g., Files.delete returns a meaningful exception) along with atomic rename for safer commits, reducing the risk of hideous "your entire index is gone" bugs like this doozie. Lucene's replication module, along with distributed servers on top of Lucene such as Elasticsearch or Solr, must copy index files from one place to another. They do this for backup purposes (e.g., snapshot and restore), for migrating or recovering a shard from one node to another or when adding a new replica. Such replicators try to be incremental, so that if the same file name is present, with the same length and checksum, it will not be copied again. Unfortunately, these layers sometimes have subtle bugs (they are complex!). Thanks to checksums (added in 4.8.0), Lucene already detects if the replicator caused any bit-flips while copying, and this revealed a long standing nasty bug in the compression library Elasticsearch uses. With 5.0.0 we take this even further and now detect if whole files were copied to the wrong file name, by assigning a unique id to every segment and commit (segments_N file). Each index file now records the segment id in its header, and then these ids are cross-checked when the index is opened. The new Lucene50Codec also includes further index corruption detection. Even CorruptIndexException itself is improved! It will now always refer to the file or resource where the corruption was detected, as this is now a required argument to its constructors. When corruption is detected higher up (e.g., a bad field number in the field infos file), the resulting CorruptIndexException will now state whether there was also a checksum mismatch in the file, helping to narrow the possible source of the corruption. Finally, during merge, IndexWriter now always checks the incoming segments for corruption before merging. This can mean, on upgrading to 5.0.0, that merging may uncover long-standing latent corruption in an older 4.x index. 5.0.0 also includes several changes to reduce heap usage during indexing and searching. If your index has 1B docs, then caching a single FixedBitSet-based filter in 4.10.2 costs a non-trivial 125 MB of heap! But with 5.0.0, Lucene now supports random-writable and advance-able sparse bitsets (RoaringDocIdSet and SparseFixedBitSet), so the heap required is in proportion to how many bits are set, not how many total documents exist in the index. These bitsets also greatly simplify how MultiTermQuery is rewritten (no more CONSTANT_SCORE_AUTO_REWRITE_METHOD), and they provide faster advance implementations than FixedBitSet's linear scan. Finally, they provide a more accurate cost() implementation, allowing Lucene to make better choices about how to drive the intersection at query time. Heap usage during IndexWriter merging is also much lower with the new Lucene50Codec, since doc values and norms for the segments being merged are no longer fully loaded into heap for all fields; now they are loaded for the one field currently being merged, and then dropped. The default norms format now uses sparse encoding when appropriate, so indices that enable norms for many sparse fields will see a large reduction in required heap at search time. If you still find Lucene using more heap than you expected, 5.0.0 has a new API to print a tree structure showing a recursive breakdown of which parts are using how much heap. This is analogous to Lucene's explain API, used to understand why a document has a certain relevance score, but applied to heap usage instead. This is a much faster way to see what is using up your heap than trying to stare at a Java heap dump. Old experimental postings formats (Sep/Fixed/VariableIntPostingsFormat) have been removed. PulsingPostingsFormat has also been removed, since the default postings format already pulses unique terms. FieldCache is gone (moved to a dedicated UninvertingReader in the misc module). This means when you intend to sort on a field, you should index that field using doc values, which is much faster and less heap consuming than FieldCache. Tokenizers and Analyzers no longer require Reader on init. Compound file handling is simpler, and is now under codec control. PostingsFormat now uses a "pull" API when writing postings, just like doc values. This is powerful because you can do things in your postings format that require making more than one pass through the postings such as iterating over all postings for each term to decide which compression format it should use. Version is no longer required on init to classes like IndexWriterConfig and analysis components. The changes I've described here are just a snapshot of what we have lined up today for a 5.0.0 release. 5.0.0 is still under active development (patches welcome!) so this list will change by the time the actual release is done.